Are you looking for the best skydiving in Southern Wisconsin? Well – look no further. Wisconsin Skydiving Center is the #1 choice for skydiving in Madison WI. Our dropzone is located in Jefferson, WI approximately – only forty-five minutes east of Madison. A quick jaunt on US-18 and you’ll be here! Our family owned and operated skydiving center has been helping guests experience the incredible thrill of skydiving since 1998. Our highly experienced team, impeccable safety record, and dedication to quality service have helped make us Wisconsin’s premier skydiving center for nearly 20 years. We strive to provide each of our guests with a truly personal skydiving experience that they will remember for the rest of their lives! 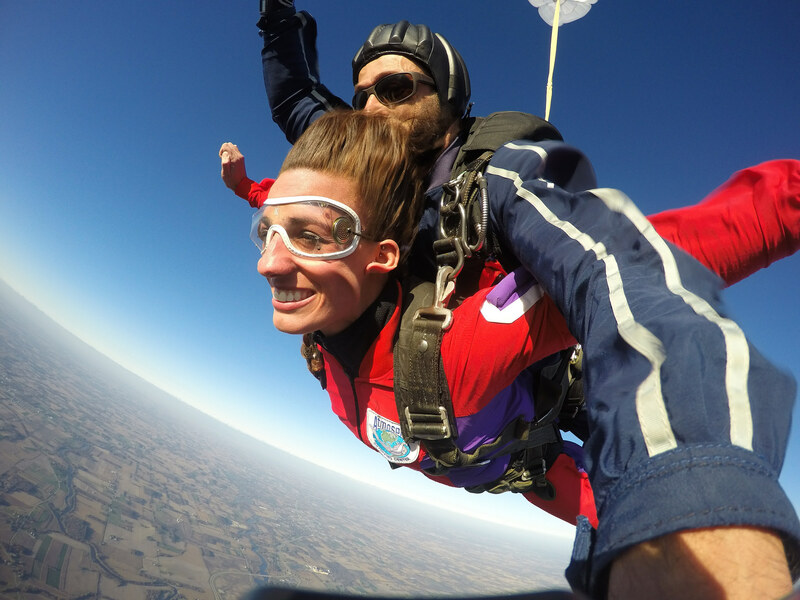 Whether your interested in making your first tandem skydive or you’d like to become a licensed jumper and skydive solo, the team at WSC is ready to help you achieve your skydiving goal! Ready to get started? Click the button below to book your skydive today!